General TV Channel / Kanal 5 is a national, privately owned, television channel in the Republic of Macedonia. It was founded in its current form in 1998. The network's main office is in Skopje, and also has smaller studios in other bigger cities all around the Republic of Macedonia. The network began broadcasting to the coverage area of Skopje with fifty employees before expanding reach to the rest of the country. 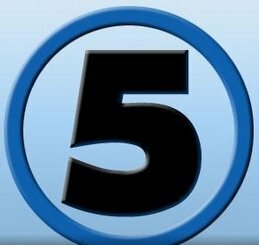 Kanal 5 has publicly had a strong aim of being a part of every Macedonian household. Kanal 5 TV (Channel 5 TV) currently has an audience reach of 96% of the Macedonian population. However, its new "sister" channel Kanal 5 plus currently has an audience reach of 76% of the Macedonian population.